This name is derived from the title of Kings of Majapahit, a great kingdom in Indonesia from 12th to 15th centuries. Brawijaya University students come from across the Indonesia and throughout the world, representing diverse perspectives, experiences, backgrounds and cultures. Brawijaya University offers the kind of education needed for leadership in a rapidly changing world. Living at Malang brings surprises and new experiences every day, in an extraordinary community of creative and accomplished people from around the world. UB is committed to develop the relevance of research and community services to enhance the quality of education, industrial needs, and human resources. Go grab your ticket now! 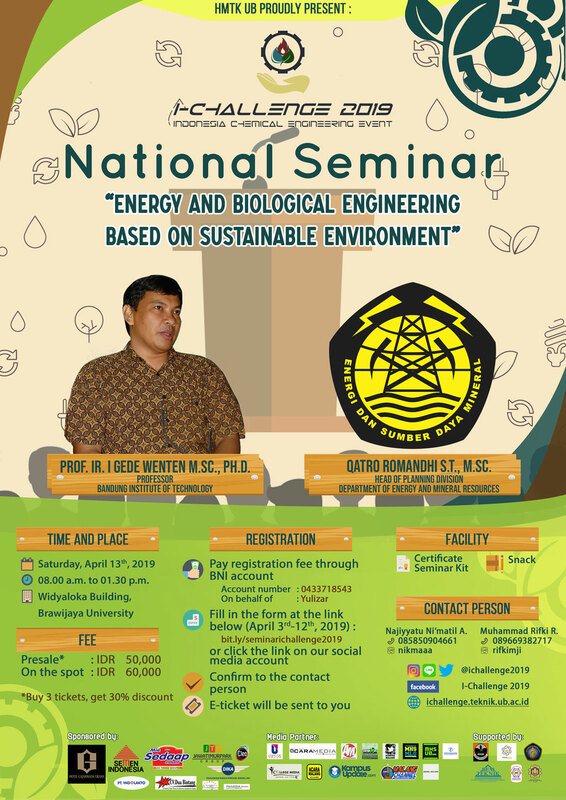 Come and join our national seminar of I-CHALLENGE 2019 and be ready to meet the expert!